Experts in government insurance, MIDLANDS is a leader in the ever-evolving public entity insurance sector. Expect customized solutions that include unparalleled underwriting expertise, innovative risk management and award-winning claims resolution. We offer the coverages that your clients need at competitive prices that only MIDLANDS has the market presence to deliver. Jon Jablon, Esq. and Tim Callender, Esq. PPACA, HIPAA and Federal Health Benefit Mandates So You Heard About HIPAA Phase 2 Audits. What Should You Do Now? t’s no secret that pharmacy costs often tip the scales for self-insured group health plans, but they’re also a signiﬁcant concern for self-insured workers’ compensation programs for several reasons. The National Council on Compensation Insurance estimates that they account for 18% of the total workers’ comp medical spend. And while at ﬁrst blush that might not seem to be cause for alarm, consider the potential Domino Effect that’s hidden from view. The #1 Rx challenge for workers’ comp cases involves the use – and misuse – of opioid analgesics for pain relief, says Tron Emptage, a registered pharmacist and chief clinical officer at Helios, an Optum company. WORK COMP’S BITTER PILL | FEATURE Two examples of common opioid medications dispensed for the management of pain include OxyContin and MS Contin and their generic equivalents where available. He says 60% of the claims Helios manages involve at least one opioid prescription. The issue is clearly a matter of life and death, not just dollars and cents. Concern is mounting about overdose deaths traced to over-prescribed and misused narcotic opioids, which kill 46 Americans daily and increased by 9% in 2014, in the U.S., according to a Helios workers’ comp pharmacy resource guide published in January. What’s equally troubling is that as many as 91% of patients who survived an opioid overdose were prescribed more opioids, the report also noted. the PBM’s morphine equivalent dose program that compares the amounts of a drug in different drugs. “If a patient is talking multiple opioid or narcotic medications, you can come up with a cumulative number that shows how much they’re talking,” she explains. “At the point of sale, we actually are able to look at the opioids and add them all together to see if they’re above any limits that might be a problem.” That may be between 50 and 120 morphine equivalents per day. WORK COMP’S BITTER PILL | FEATURE The managed care organization also conducts drug utilization reviews and employs pharmacists to examine inappropriate reactions in polypharmacy claims, as well as suggest generic medications and alternative prescribing doses to improve health outcomes and speed up the return to work, which ultimately can reduce costs also. Coventry’s clients include self-insured employers, insurance companies and TPAs. and fractures are some of the most common workers’ comp claims that are being treated with medications anderson reports. He also cites “a bucket of claims that have multiple injuries” involving some combinations thereof and a “long tail claims at the end. There are systemic problems with the workers’ comp system that complicate prescription drug management, according to Pew. On the one hand, for example, claimants lack any motivation to question their scripts because there are no out-ofpocket costs. In contrast, he says some industry players, including plaintiffs’ or trial attorneys, stand to gain financially by keeping claims open. Average wholesale price inflation represents another key trend, with increases in generic prices raising some eyebrows. “Last year, we saw increases across all drugs of 11.4% in drug prices and generic prices were up 10%, which continues to be higher than the longer term historical trend,” Anderson says. “We’d expect to see, generic medications about flat. That’s how it was for years in workers’ compensation.” A few particular medications, ibuprofen among them, doubled or more than doubled in price, which he says caught many industry observers off guard. WORK COMP’S BITTER PILL | FEATURE medication, for example, Nelson says it’s not only more expensive than if it came from a retail pharmacy, but also may not be as efficacious. For example, it would not have the same safety and formulary edits, which could lead to some duplication in therapy. Another concern she expresses involves physicians who lack access to a patient’s full medication history prescribing harmful combinations of drugs, which also can fuel the opioid problem. ■ Bruce Shutan is a Los Angeles freelance writer who has closely covered the employee beneﬁts industry for 28 years. Pew describes a closed drug formulary in Texas as a “rallying point” for similar efforts that have taken shape in California, Arizona, Oklahoma, Washington, Ohio and Tennessee. There has been “a stronger focus on prescription drug monitoring programs around the country, not only for real-time access and mandating access, but linking data beyond the state boundary so you can have a better picture of things,” he says. Another helpful strategy is to vet polypharmacy claims involving multiple prescribing physicians or pharmacies with the same objective in mind. And as part of that mission, Emptage says taking an alternative medication like an antidepressant or anticonvulsant may be beneficial to claimants to minimize or in some cases, eliminate the use of an opioid for their chronic pain. But at the same time, he cautions that multiple medications or different combinations of sleep aids, benzodiazepines, or antidepressants may not be appropriate and can cause several side effects. “Our goal really is to help manage utilization, making sure that that patient is on the right meds for their injury at the right time in the cycle of their injury,” Emptage explains, especially given dramatic increases in pricing over the past few years. Does the self-funded route look a little muddy? The expert risk assessment and exceptional service delivery of HM Stop Loss give self-funded groups the financial protection they need to meet the challenges of a changing health benefits market. Our performance, policy and protection set us apart as we deliver smart solutions for cost containment and more to our clients. Find tips, tools and insights for self-funded groups at hmig.com/costcontainment. Candies’ claims should be dismissed under this statute as well because ERISA preempted them. The Court then set sail in its opinion on the different kinds of preemption available under ERISA (“complete” and “conflict” preemption), ultimately concluding that neither applied. Perhaps the plaintiff ’s arguments in this regard were spawned by the district court’s opinion in Bank of Louisiana v. Aetna Healthcare (see http://stoplosslaw.com/cases-and-commentary/bank-of-louisianav-aetna-us-healthcare) many years earlier, in 2004. In my write-up of that decision, I concluded that the Court had simply “gotten lost in the ERISA Funhouse” and misconstrued the law. The federal Court of Appeals in the Bank of Louisiana case set things straight and in my opinion, endorsed the notion that ERISA simply had no effect on runof-the-mill stop-loss cases, which are governed exclusively by state law. See http:// stoplosslaw.com/cases-and-commentary/bank-of-louisiana-v-aetna-life-ins-co. It was this Court of Appeals decision on which the district court relied to hold that no ERISA preemption existed in the Candies case. This result is consistent with all modern stop-loss cases with which I am familiar. They are state law based claims and one need not wander around inside the “ERISA Funhouse” – as this Court did for a time in its opinion – to decide them. So, Westport’s third pitch was outside the strike zone by a good margin and Candies will get a jury trial on its contract and claims for penalties, barring a settlement or other unforeseen developments in this case. ■ Tom Croft currently consults extensively on medical stop-loss claims and related issues, as well as with respect to HMO Excess Reinsurance, Medical Excess of Loss Reinsurance and Provider Excess Loss Insurance. He maintains an extensive website analyzing more than one hundred cases and containing more than fifty articles published in the Self-Insurer Magazine over many years. See www.stoplosslaw.com. He regularly represents and negotiates on behalf of stop-loss carriers, MGUs, Brokers, TPAs and Employer Groups informally, as well as in litigated and arbitrated proceedings and has mediated as an advocate in many stop-loss related mediations. Tom can be reached at tac@xsloss.com. Taft-Hartley plans refer to the multi-employer pension plans collectively bargained by a union and a group of employers, usually in related industries. Taft-Hartley plans are governed by a trust, half of whose trustees are appointed by the employers and half by the union. This retirement plan model has enabled tens of thousands of small and medium-sized businesses to provide workers with the traditional deﬁned beneﬁt pensions that used to be standard among larger employers, but have now virtually disappeared in the non-unionized private sector. 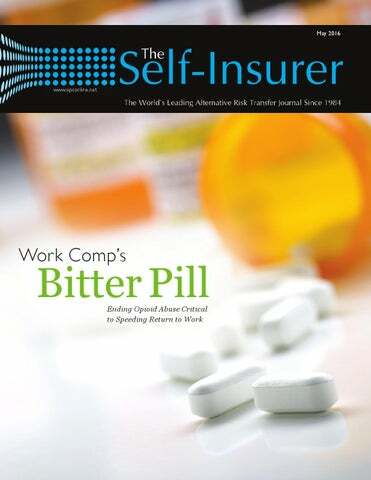 SIIA’s Annual Self-Insured Workers’ Compensation Executive Forum is the country’s premier association sponsored conference dedicated to self-insured Workers’ Compensation employers and group funds. In addition to a strong educational program focusing on such topics as analytics, excess insurance, wellness initiatives and risk management strategies, this event will offer tremendous networking opportunities that are speciﬁcally designed to help you strengthen your business relationships within the self-insured/alternative risk transfer industry. SIIA’s National Educational Conference & Expo is the world’s largest event dedicated exclusively to the self-insurance/alternative risk transfer industry. Registrants will enjoy a cutting-edge educational program combined with unique networking opportunities and a world-class tradeshow of industry product and service providers guaranteed to provide exceptional value in three fastpaced, activity-packed days. “We have to pass on costs of collecting fees such as the New York and Massachusetts Public Goods Surcharge or fees for childhood immunization in Connecticut, New Hampshire and Maine. And we have administrative costs that provide no value to our clients,” Goodison said. by law to report data that’s not ours to give. But states find it convenient to come to TPAs to gather aggregate data rather than take the trouble to contact individual employers.” In “Groundhog Day,” Bill Murray’s character gains freedom from daily repetition by changing his ways. SIIA’s goal is for the self-insurance industry to gain enough educational and political clout to match that success. ■ SIIA members who wish to join the state government relations team are invited to contact Adam Brackemyre at the Washington, DC, ofﬁce, (202) 463-8161 or abrackemyre@siia.org. self-funded plan’s governing plan document and the Plan Administrator’s discretion used when interpreting that document are jointly considered to be somewhat like decisions issued by the United States Supreme Court – they are “the supreme law of the land.” To some extent, that can prove accurate with respect to the plan document; the Employee Retirement Income Security Act of 1974 (ERISA) provides that a plan document’s text must be strictly adhered to and ﬁduciaries of the beneﬁt plan are not permitted to deviate from the document’s terms. A common misconception, however, is that the plan document is the “supreme law of the land” in all of a plan’s relations. Many TPAs have seen first-hand that this is not the case and new situations seem to be cropping up all the time, proving this fact time and again. So, what do we do? Written by Jon Jablon, Esq. and Tim Callender, Esq. THE PLAN DOCUMENT | FEATURE It is paramount that we gain a better understanding of the various scenarios that frequently occur, causing conflict between a plan document and another legal instrument. Through identifying the nuances of these conflicts, we should, hopefully, become better positioned to work preemptively and engage a more thoughtful approach to plan document creation and the interplay between the numerous third-party relationships that are necessary in the self-funded space. a separate contract, which exists between the network administrator and the various providers who make up the network, oftentimes without disclosing the terms of that separate contract, commonly called a “provider agreement.” It is easy to see how the alignment of the various parties is often misunderstood and, quite frankly, how it may seem that the various parties have competing obligations. The Plan Administrator is tasked with administering the plan’s language, while the Sponsor is tasked with complying with the agreement it has signed with the network administrator. The network administrator is obligated to protect the interests of the network providers and the financial health of the network, while also honoring the terms of the agreement between the network administrator and the Sponsor. The practical implications are many: first, since the network agreement is for the Plan’s benefit, it is the Plan that is paying contracted claims (in contrast to the plan document’s language that may not support payment at a contracted rate) and second, while ERISA governs the Plan’s payments (assuming a private, self-funded benefit plan), state law exclusively governs the network agreement. The state law interplay, alone, tends to create some of the most confusing burdens in this contractual comedy, since the usual ERISA remedies and protections that the Plan might enjoy become irrelevant when the legalities of the network agreement are tested in a state court contract action. In short, the plan document and ERISA preemption, tend to become irrelevant when faced with the complicated scenario discussed above – one where state law contract actions become appropriate remedies due to conflicting terms between a plan document and a network contract. THE PLAN DOCUMENT | FEATURE self-funded industry that is changing, though; Connecticut, for instance, has enacted legislation that effectively limits a stop-loss carrier’s discretion in terms of plan document interpretation. At first glance, this appears very favorable to self-funded plans within that state; this change, however, is also expected to have the effects of both increasing the cost of stop-loss premiums as well as blurring the line that separates stop-loss from health insurance – which of course has negative effects on the industry as a whole. they serve are couched as allies rather than as adversaries, it sometimes becomes the case that a TPA has allegiances, relationships and strategic partnerships that can end up at odds with the Plan. In addition, although most ASO carriers require that the health plans they service utilize the ASO carrier’s own stock plan document, some ASO carriers allow plans to utilize their own existing plan documents. A plan’s ability to keep its own plan document is generally viewed as a good thing – until situations arise where the plan document’s language conflicts with the ASO carrier’s standard policies. The best example of the dilemma described above would be the scenario of medical necessity and “experimental and investigational” determinations. Annual production of 6 million of beer or less...” BIC stays small to provide the utmost attentionbarrels to the most discerning tastes. Annual production of 6 million barrels of beer or less...” BIC tastes. BICstays stayssmall smalltotoprovide providethe theutmost utmost attention attention to the most discerning tastes. BIC stays small to provide the utmost attention to the most discerning tastes. BIC stays small to provide the utmost attention to the most discerning tastes. A brewer that...derives from traditional or or innovative brewing Traditional Traditional brewer that...derives from traditional innovative brewingingredients... ingredients... AAAbrewer that...derives from traditional or innovative brewing ingredients... brewerFlavored that...derives from traditional or innovative brewing ingredients... maltmalt beverages areare not considered beers. A brewer that...derives from traditional or innovative brewing Flavored beverages not considered beers. Flavored beveragesare are notconsidered considered beers.ingredients... Flavored malt malt beverages beers. Flavored malt beverages arenot not considered beers. BIC brews benefits with with innovation andand tradition always true to to ourour mission totodeliver value. BICbrews brews benefits innovation tradition always true mission value. BIC andtradition tradition always true mission to deliver deliver value. BIC brewsbenefits benefitswith with innovation innovation and always true to to ourour mission to deliver value. BIC brews benefits with innovation and tradition always true to our mission to deliver value. THE PLAN DOCUMENT | FEATURE When the same parent company owns both the claims administrator and the network administrator, the claims administrator’s loyalty lies not with the Plan but with in-network providers. Situations often arise where an ASO carrier’s standard policy is to defer to the treating provider for determinations of medical necessity, even though the plan document might not consider the same claim to be medically necessary. (Common sense dictates that these medical providers are not in the habit of characterizing their hard work as unnecessary.) The result is often that the Plan is forced by its ASO carrier to pay claims that the plan document may not truly allow – all because of a lack of deference to the plan document. This is a practice that tends to undermine the nature of self-funding. IV. Conclusion As we know and as we see time and again, there are many situations where the plan document does not control the outcome of a situation, even when many interested parties believed that the plan document would, in fact, be the controlling authority. There are solutions here, though and there is a “middle ground” to be reached. Plan Sponsors, oftentimes working through their consultants, should work diligently to have transparent conversations with their vendor-partners, as they put their various self-funded solutions together. Communication is the prime solution here; open and honest communication between all stakeholders and obtaining an expert review of all contracts involved in a given situation can make all the difference down the road. In addition, the implementation process for a new group, or even the renewal process for a self-funding veteran, should not be taken lightly and should be comprehensive, involving every interested party. Multi-vendor communications and lengthy contractual reviews may be resource-intensive, but the time and effort is well worth it. In terms of “middle ground,” there are many areas where this can be accomplished. For many vendors, this might be to transparently work to identify gaps between contracts and the plan document up front, with the goal of either reconciling those gaps, or simply moving forward, but with “eyes wide open,” so to speak. For the Plan Sponsor, giving up a certain amount of discretion – such as never paying in-network claims at a rate below the contract rate – will be beneficial to the Plan in the long run, by avoiding bad blood and legal conflicts with providers and networks. In addition, the Plan Sponsor might work to make sure the plan document’s language matches network contracts, ensuring defensible payments. Tim Callender is a member of The Phia Group’s Legal Department. Tim spent years as in-house counsel for a thirdparty administrator before joining The Phia Group. Tim has experience in direct provider negotiations, plan documents, complex appeals, stop-loss conﬂict resolution, regulatory and compliance demands, vendor contract disputes and many other areas unique to the industry. Tim has spoken on a variety of topics at respected venues such as the Society of Professional Beneﬁt Administrators (“SPBA”) and the Health Care Administrator’s Association (“HCAA”). Tim currently sits on the Board of Directors for HCAA as well. Prior to his time as a TPA’s in-house counsel, Tim spent many years in private practice, successfully litigating many cases. Tim lives in Boise, Idaho and works out of The Phia Group’s new Boise ofﬁce, supervising The Phia Group’s Plan Appointed Claim Evaluator (“PACE”) service. After being admitted to the bars of New York and Massachusetts, Jon Jablon joined The Phia Group’s legal team in 2013. He is well-versed in the ins and outs of ERISA, stop-loss policies, PPO agreements, administrative services agreements and health plans. Jon focuses on providing various consulting services to clients as well as serving as a part of The Phia Group’s in-house legal counsel. he Affordable Care Act (ACA) has been a federal law for more than six years and employers, payers and risk bearers have been working diligently since then to help manage rising healthcare costs (which have out-paced inďŹ&#x201A;ation every year since 2010). Since the removal of lifetime maximums, as mandated by the ACA, we have experienced a dramatic increase in the severity and frequency of high-dollar claims over the last few years; a recent Sun Life report determined that claims exceeding $2 million have more than doubled since the elimination of lifetime maximums. And that increase is fueling a trend within the self-funded industry to shift away from remote case management to a more direct, hands-on administrative approach, helping to better manage the shock claims that can disrupt actuarial assumptions. work together to manage the everincreasing frequency, scope and scale of shock claims. The ultimate cost of a catastrophic claim can quickly tip the scales and easily make-or-break an underwriting year, from a stop-loss market perspective. And the manner in which these claims are managed will help determine that cost. That’s why any additional efforts or measures taken to ensure healthcare costs are reasonable and just are received with great enthusiasm by the medical stop-loss carrier. Because their profitability regularly hangs in this balance, medical stop-loss markets expend tremendous effort and energy to determine: whether customary care was administered and a claim meets the terms of the policy and is indeed payable; or if the charges were unusual and care is determined to be investigatory, experimental and ultimately unwarranted. Finding these answers can be challenging and even looking into them can cause a stir. Investigative inquiries from the stop-loss carrier can appear as though they are second-guessing the claims administrator, potentially delay payments, frustrate the employer and leave the broker stuck in the middle facing more questions than he or she probably has answers for. Personal attention is a critical part of this process. Payers have typically relied on telephonic case management to provide care coordination and to obtain additional information on patients who are hospitalized for any variety of conditions. It’s quick, easy and will suffice for the majority of patients’ routine conditions that require a brief hospital stay without post-discharge care. However, for more complex conditions and longerterm, high-dollar claims, telephonic case management can fall short of providing a thorough evaluation of the patient’s care and long-term prognosis. The Fast Track to Financial Efficiency Let ECHO ® streamline your electronic payments and get your company on the fast track to success with the only complete settlement option in the marketplace. Our unique process allows us to maximize your financial resources while reducing administrative costs. statements and funds into a single compliant payment flow. electronic payments and EOBs faster. your bottom line from day one. review of the reported ﬁnancial results of risk retention groups (RRGs) reveals insurers that continue to collectively provide specialized coverage to their insureds while remaining ﬁnancially stable. Based on reported ﬁnancial information, RRGs have a great deal of ﬁnancial stability and remain committed to maintaining adequate capital to handle losses. It is important to note that ownership of RRGs is restricted to the policyholders of the RRG. This unique ownership structure required of RRGs may be a driving force in their strengthened capital position. year-end 2011 through year-end 2015, RRGs collectively increased policyholders’ surplus 55%. This increase represents the addition of over $1.6 billion to policyholders’ surplus. During this same time period, liabilities have increased 60.8%. These reported results indicate that RRGs are adequately capitalized in aggregate and able to remain solvent if faced with adverse economic conditions or increased losses. The loss and LAE reserves to policyholders’ surplus ratio for yearend 2015 was 104.5% and indicates an increase compared to year-end 2014, as this ratio was 99.6%. The higher the ratio of loss reserves to surplus, the more an insurer’s stability is dependent on having and maintaining reserve adequacy. Regarding RRGs collectively, the ratios pertaining to the balance sheet appear to be appropriate and conservative. Liquidity, as measured by liabilities to cash and invested assets, for year-end 2015 was 65.8%. A value less than 100% is considered favorable as it indicates that there was more than a dollar of net liquid assets for each dollar of total liabilities. This also indicates an increase for RRGs collectively as liquidity was reported at 65.5% at year-end 2014. This ratio had improved steadily in each of the previous five years. Loss and loss adjustment expense (LAE) reserves represent the total reserves for unpaid losses and LAE. This includes reserves for any incurred but not reported losses as well as supplemental reserves established by the company. The cash and invested assets to loss and LAE reserves ratio measures liquidity in terms of the carried reserves. The cash and invested assets to loss and LAE reserves ratio for year-end 2015 was 212.9% and indicates a decrease over year-end 2014, as this ratio was 220.8%. These results indicate that RRGs remain conservative in terms of liquidity. was either overstated, exhibited by a percentage greater than zero, or understated, exhibited by a percentage less than zero. The one-year loss reserve development to prior year’s policyholders’ surplus for 2015 was -4.9% and was more favorable than 2014, when this ratio was reported at 24.4%. The two-year loss reserve development to second prior year-end policyholders’ surplus for 2015 was 18.9% and was less favorable than 2014, when this ratio was reported at 14.7%. increase of 3.3% over 2014. RRGs reported nearly $1.7 billion of net premium written (NPW) through yearend 2015, a decrease of 0.8% over 2014. The DPW to policyholders’ surplus ratio for RRGs collectively through year-end 2015 was 63.8%, up from 59.8% in 2014. The NPW to policyholders’ surplus ratio for RRGs through year-end 2015 was 37.4% and indicates an increase over 2014, as this ratio was 36.5%. In regards to RRGs collectively, the one-year loss reserve development to prior year’s policyholders’ surplus ratio would be viewed as favorable while the two-year loss reserve development to second prior year’s policyholders’ surplus ratio would be viewed as unfavorable. Income Statement Analysis In regards underwriting gains and losses, RRGs collectively were not profitable in 2015. RRGs reported an aggregate underwriting loss for 2015 of $58.7 million, a decrease over 2014 and a net investment gain of $330.1 million, an increase over 2014. RRGs collectively reported net income of $243.6 million, a slight decrease of 0.2% over 2014. Looking further back, RRGs had collectively reported an annual underwriting gain since 2004. While that run had come to an end, RRGs have collectively reported a net income at each year-end since 1996. The loss ratio for RRGs collectively, as measured by losses and loss adjustment expenses incurred to net premiums earned, through year-end 2015 was 79.6%, a decrease over 2014, as the loss ratio was 131.5%. This ratio is a measure of an insurer’s underlying profitability on its book of business. The expense ratio, as measured by other underwriting expenses incurred to net premiums written, through year-end 2015 was 23.1% and indicates a decrease compared to 2014, as the expense ratio was reported at 23.5%. This ratio measurers an insurer’s operational efficiency in underwriting its book of business. The combined ratio, loss ratio plus expense ratio, through year-end 2015 was 102.8% and indicates a decrease compared to 2014, as the combined ratio was reported at 154.9%. This ratio measures an insurer’s overall underwriting profitability. A combined ratio of less than 100% indicates an underwriting profit. Regarding RRGs collectively, the ratios pertaining to income statement analysis appear to be appropriate. Moreover, these ratios have remained within a profitable range. The results of RRGs indicate that these specialty insurers continue to exhibit financial stability. It is important to note again that while RRGs have reported net income, they have also continued to maintain adequate loss reserves while increasing premium written year over year. RRGs continue to exhibit a great deal of financial stability. ■ Douglas A Powell is a Senior Financial Analyst at Demotech, Inc. Mr. Powell supports the formulation and assignment of Financial Stability Ratings® by providing analysis of statutory ﬁnancial statements and business information. He also performs ﬁnancial and operational and peer group analyses, as well as benchmark studies for client companies. Email your questions or comments to dpowell@demotech.com. For more information about Demotech visit www. demotech.com. Despite political and economic uncertainty, RRGs remain financially stable and continue to provide specialized coverage to their insureds. The financial ratios calculated based on the reported results of RRGs appear to be reasonable, keeping in mind that it is typical and expected that insurers’ financial ratios tend to fluctuate over time. Visit windsorstrategy.solutions for online demonstrations and learn more today. or the last two tax seasons the IRS has named captives operating under the 831(b) tax designation to their “Dirty Dozen” list – a list the department releases each year warning tax payers of potential tax dodges and scams. However, last December the PATH Act was signed into law which, when it goes into effect, should help to shore up some of the legislative loopholes that have been misused and help to expand the “micro” segment of the captive industry. insurance company meets the diversification requirement if no more than 20% of the net written premiums (or, if greater, direct written premiums) of the company for the taxable year is attributable to any one policyholder.” “Policyholder” in this instance is defined by IRS attribution rules that state policyholders who are related or have a partnership (trust, estate, or corporation) are considered one policyholder for this test. Concerned about members in a reference based pricing plan? No need. Sometimes more really is more. Swiss Re Corporate Solutions has joined forces with IHC Risk Solutions. © Self-Insurers’ Publishing Corp. All rights reserved. By integrating IHC’s business we are complementing this highly-regarded firm’s wealth of expertise with our own financial strength and global capacity. It’s a powerful combination of expertise and capabilities, and we believe it offers enhanced value to any employer seeking to self-fund their healthcare benefit plan. But there’s another belief that we share with IHC, and that’s in the paramount importance of understanding and supporting the needs of our customers and building strong, enduring partnerships. We wouldn’t have it any other way. We’re smarter together. swissre.com/esl Insurance products underwritten by Westport Insurance Corporation and North American Specialty Insurance Company. PATH Act changes will help because, by addressing estate planning, they eliminate a motive for abuse. But the changes will not solve everything because they do not address everything the IRS views as motivation for abuse and they do not address the IRS’ fundamental distrust of captive insurance arrangements.” Proponents for 831(b) captives are pleased to see the million dollar increase as the $1.2 million limit has been in place for thirty years. As this segment of captives has grown, the lower limit on premium has been restrictive to growing small businesses. Some outlets have reported that the increase in the limit on premium will see a burst of new captive formation. However, Les Boughner believes that this will benefit established captives, not engender a surge of new formations. “Some people seem to think this means there will be more and more captives, I’m not so sure. I think there’s a small segment that will capitalize on it but I don’t think it will suddenly open up the segments dramatically.” How much the PATH Act will affect captives electing the 831(b) exemption remains to be seen, as the full affects will not be known until several years down the road. In the meantime, the IRS will continue to keep close watch on captives misusing the 831(b) designation as a wealth transfer loophole. “The PATH Act changes will help because, by addressing estate planning, they eliminate a motive for abuse. But the changes will not solve everything because they do not address everything the IRS views as motivation for abuse and they do not address the IRS’ fundamental distrust of captive insurance arrangements.” ■ Karrie Hyatt is a freelance writer who has been involved in the captive industry for more than ten years. More information about her work can be found at www.karriehyatt.com. So You Heard About HIPAA Phase 2 Audits. What Should You Do Now? s you may have recently read (for example, “HHS/OCR Announces Launch of HIPAA Audit Program Phase 2”), the U.S. Department of Health and Human Services’ (HHS) Ofﬁce for Civil Rights (OCR) has started “Phase 2” of its audit program. Like the Phase 1 audits, OCR intends to use the audits to examine compliance mechanisms, identify best practices and discover risks and vulnerabilities to enhance compliance with HIPAA’s Privacy, Security, and Breach Notiﬁcation Rules. Phase 2 will be primarily desk audits, although OCR will conduct some onsite audits. If an audit reveals serious compliance issues, OCR might also launch an investigation. So now is the time to look at HIPAA compliance for your health plan and take corrective action, if needed. Business associates should do the same, as they are also subject to Phase 2 audits. will request a list of your business associates and their contact information with the pre-audit questionnaire. If you received a contact letter, you should prepare and update your list of business associates 2 immediately using OCR’s sample template. that ignoring HHS’s request will not exempt you from audit. HHS has said that even those that do not respond might be audited. Logically, we would not be surprised if HHS is more likely to take enforcement actions against those that do not respond. It’s a good idea for those that received email notices from OCR to respond in a timely manner (and those that had the notice stuck in their “spam box” or who set the letter aside thinking they could avoid audit should reconsider responding). However, please see our note below regarding possible phishing attempts. © Self-Insurers’ Publishing Corp. All rights reserved. HIPAA compliance documents now and, if necessary, scan copies that are on paper only (see below for the documents OCR is expected to request). OCR’s Third Step – Desk Audits As noted, OCR will conduct some desk audits of covered entities and business associates. These audits will not necessarily be completed by December 2016, but those selected for desk audits must still submit their documents electronically. and in particular, laptops and USB/thumb drives. of the Security Rule were treated. “Addressable” means that the covered entity or business associate must determine whether and how to implement the rule based on the circumstances. » If encryption is recent, a description of alternative measures in place before encryption. » If a decision was made to not encrypt any particular communications or systems that contain PHI, the reason(s) for that decision. – Efforts to mitigate identified risks. In particular: º Policies/procedures for encryption (which is “addressable” under the Security Rule), including: » Description of all encryption methods used. º Timely patching of software and updates to antivirus software. » Methods of encrypting electronic transmissions (including email). º Attempts to mitigate insider threats (e.g., establishment and termination of users’ access to systems storing PHI, password policies, workstation access, time-out due to inactivity). º Procedures for disposal of PHI (both electronic and paper). » Dates encryption has been in place. Whether addressing ACA changes, high dollar claims or unique types of medical risk, PartnerRe Health’s experience and innovation are focused on helping our clients. We listen to your goals and challenges, leveraging our deep resources to deliver customized Medical Reinsurance and Employer Stop Loss solutions. º Data backup and contingency plans. º Server configurations, including descriptions of network perimeter devices like firewalls and routers. º Records of repair and maintenance of information systems hardware and physical security (e.g., doors and locks) in locations that contain PHI or systems containing PHI. • Logs of unauthorized uses and disclosures of PHI, including known unauthorized uses and disclosures by business associates. • Documents that describe investigation of potential HIPAA breaches, as well as attempts to mitigate potential and confirmed breaches. • Breach notification letters for confirmed breaches, as well as any assessments that determined an exception applied under the breach notification requirements. • Documentation of requests for access to, and amendment of, PHI, as well as the response to the individual. • HIPAA notice of privacy practices, including records demonstrating timely and correct distribution, as well as links to any websites where these notices are posted. • Records demonstrating that employees with access to HIPAA PHI regularly receive HIPAA privacy and security training (e.g., attendance sheets, signed certifications), as well as applicable training materials. 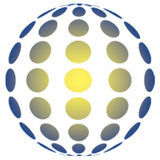 OCR has indicated that it favors annual HIPAA privacy and security training. • Sanctions imposed on employees who violated HIPAA. Note that some employers might be covered entities or business associates themselves, and their health plans might be separate covered entities. For example, a health insurance company would be a covered entity for its insured groups, a business associate for its third-party administration services and the health plan it provides its employees would be a separate HIPAA covered entity. You should be prepared to provide separate sets of documents for all covered entities and business associates that you operate. the extent you do not have all of these documents or have not fulfilled all the requirements, you should not lose hope. As noted, not all covered entities that receive contact letters and pre-audit questionnaires will be audited. Moreover, OCR’s intent is to “use the audit reports to determine what types of technical assistance should be developed and what types of corrective action would be most helpful.” Being able to show that you are taking steps to correct deficiencies might mitigate against additional HHS enforcement activities beyond correction, such as civil monetary penalties. The Irony – Watch Out for Phishing Attempts by Hackers Posing as OCR to Get Contact Information or More! No system is perfect, and ultimately it is impossible to prevent fraud completely. That said, OCR has specifically advised covered entities and business associates to check their spam folders to ensure that all emails are received. Ironically, electronic contact letters and desk audits create an opportunity for phishing attacks by hackers who might try to obtain access to sensitive documents by sending similar emails with fake contact letters and creating their own sites for information uploads. In fairness to HHS and OCR, this could also be accomplished through the use of fake paper correspondence. Employers should ensure that their employees refer all electronic or paper inquiries that appear to be from HHS and/or OCR to a single person (for example, the privacy officer). Regardless, employers should advise employees to be on the lookout for phishing attempts related to OCR’s Phase 2 audit. will likely conduct more audits after these Phase 2 audits, and its enforcement activities continue unabated. Conducting a self-audit and updating your HIPAA risk assessment to ensure that the appropriate procedures and documents are in place can mitigate your risk and exposure substantially. ■ The Affordable Care Act (ACA), the Health Insurance Portability and Accountability Act of 1996 (HIPAA) and other federal health beneﬁt mandates (e.g., the Mental Health Parity Act, the Newborns and Mothers Health Protection Act, and the Women’s Health and Cancer Rights Act) dramatically impact the administration of self-insured health plans. This monthly column provides practical answers to administration questions and current guidance on ACA, HIPAA and other federal beneﬁt mandates. Attorneys John R. Hickman, Ashley Gillihan, Carolyn Smith, and Dan Taylor provide the answers in this column. Mr. Hickman is partner in charge of the Health Beneﬁts Practice with Alston & Bird, LLP, an Atlanta, New York, Los Angeles, Charlotte and Washington, D.C. law ﬁrm. Ashley Gillihan, Carolyn Smith and Dan Taylor are members of the Health Beneﬁts Practice. Answers are provided as general guidance on the subjects covered in the question and are not provided as legal advice to the questioner’s situation. Any legal issues should be reviewed by your legal counsel to apply the law to the particular facts of your situation. Readers are encouraged to send questions by email to Mr. Hickman at john.hickman@alston.com. IIA held its annual International Conference at the Costa Rica Marriott Hotel San Jose April 5th-7th. This event was focused on helping U.S.based companies identify and understand potential business opportunities related to self-insurance/captive insurance in key countries throughout Latin America and the Caribbean. The event was also designed to connect U.S. attendees with attendees from Latin America for purposes of exploring partnership and/or business development opportunities. Several attendees participated in a pre-conference excursion to the La Paz Waterfall Gardens. The Gardens are #1 most visited privately-owned ecological attraction in Costa Rica and features the best hiking trails near San Jose, the most famous waterfalls in Costa Rica, rescued wildlife preserve with more than 100 species of animals and an environmental education program. Pedro Beirute, General Manager of PROCOMER, the Costa Rican Export Promotion Authority, a government institution, addresses attendees at the PROMED sponsored dinner. Caribbean, a Carrier/General Managers Session, Latin America Medical Travel Trends, Captive Insurance Opportunities in Latin America and Self-Insurance Business Opportunities in South America. At the conclusion of the educational program a private tour of local facilities was coordinated by Massimo Manzi, Executive Director, Council for International Promotion of Costa Rica Medicine (PROMED). PROMED is the board for the promotion and quality assurance of the Costa Rican healthcare industry. Since 2006, PROMED has organized efforts for the development of the global healthcare industry including training, inter-institutional coordination, international promotion and partnerships. We know the bottom line is important to you. © Self-Insurers’ Publishing Corp. All rights reserved. Go direct with Prime PPO and realize immediate cost savings. We’re your primary PPO solution, providing nationwide coverage customized to your needs. Nearly instant repricing, network customization, provider disputes averaging under 1% nationally, and virtually 100% provider retention sets us apart. Let us help you to maximize your penetration and savings while offering you highly competitive network access rates.